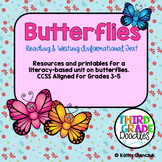 A favorite spring science activity, learning how a caterpillar transforms into a butterfly can now come to life with this Readers' Theater script! A non-fiction Readers Theater script. Students share facts about the life cycle of the butterfly. 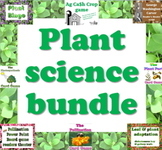 Best for high achieving 2nd graders, on-level 3rd graders, or below grade level 4th graders. Five readers are needed to perform this play. This is a script for the book The Great Kapok Tree by Lynne Cherry. It features 14 parts including: Narrator, The Man, Monkey, Boa, 2 Butterflies, Toucan, Frog, Jaguar, 2 Porcupines, Anteater, Sloth, Boy The script can be altered to accomodate more or less parts. Format: Microsoft Word. Life Skills Guided Reading Scripts (Readers Theater) and Stories I. How the Butterfly Lost his Bad Temper II. How the Butterfly Lost her Dissatisfaction III. How the Butterfly Lost his Vanity IV. How the Butterfly Learned to Fly V.	How the Butterfly Learned to Fly Higher Based on Life Lessons: 1.